Ships promptly! 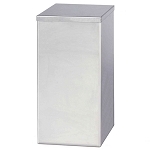 Time Capsule Box holds up to 1000 or more documents, photos & artifacts safely. Ships promptly (2 days).